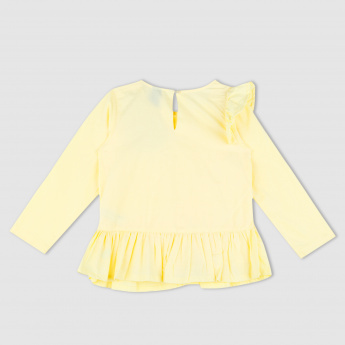 Introduce style to your little baby by getting her this top that sports a ruffle detail. The round neckline and long sleeves help keep your kid's body covered. This top has a keyhole closure on the back.